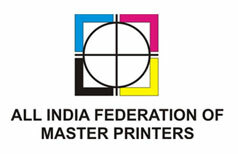 AIFMP, based in New Delhi, has done sterling work to increase the prestige and influence of the printing industry and help it render better and more useful service to the public. It represents 59 affiliate associations across India and aims to be India's pre-eminent organization in developing cooperation among national, regional and global print specialists. Pamex is the flagship event held by the association since last 23 years. Specialising in organising niche events, Print- Packaging.com (P) Ltd. brings all stake holders through the value chain of the industry onto one platform. PackPlus, the flagship event of the company, brings these niche shows together in the largest exhibition in this field in the country. Pamex is the new addition to the event portfolio of the company.